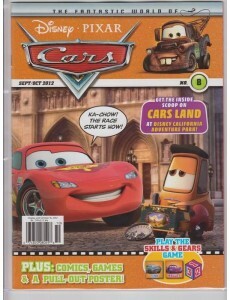 Cars Fantastic World of magazine takes you on a fast-paced journey through Radiator Springs. Each issue is jam-packed full of exciting puzzles, cool games and fab stories, coloring pages and awesome posters. The World of Cars is funny, friendly, informative and entertaining. 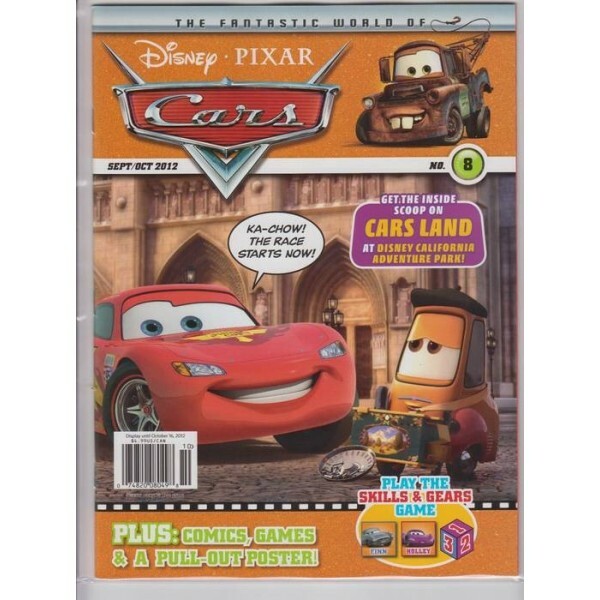 The magazine contains everything you’ve ever wanted to know about Lightning McQueen and all his friends. In every issue you’ll find a profile for one of your favorite Cars characters that will tell you about who they are, how they were created and what their role is in Radiator Springs. The World of Cars is an exciting journey of fun and car-azy games. Every issue has a great free gift and nine fantastic collector cards and the website adds another layer to the Cars world.